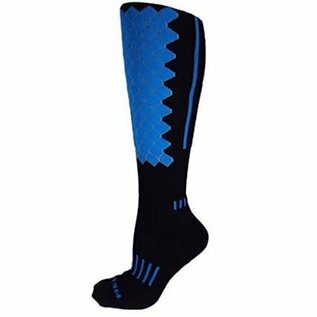 Experience the future of socks with this premium padded design made of outlandish hexagons. The HELIX is about protection! Experience the future of socks with this premium padded design made of outlandish hexagons. 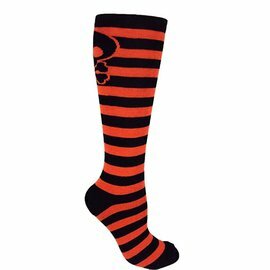 Further, these socks run complete with premium extra full-cushion from just above the ankle to the knee. 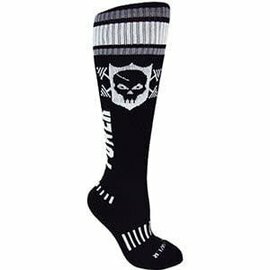 Perfect for motocross, skiing, crossfit, workout, and knee-high enthusiasts. One Size Fits All Men, Most Women. Black with Cyan Blue and Grey. 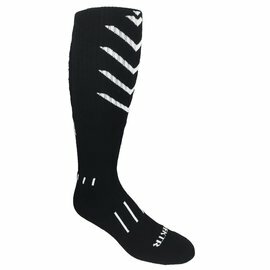 Knee-High Black w/ White VEKTRCush. The only store to meet all your elite athlete’s needs. From CrossFit to everyday fitness Endurance has it all!